The 2016 WIN photo competition explored how corruption and malpractice affect water and wastewater management. 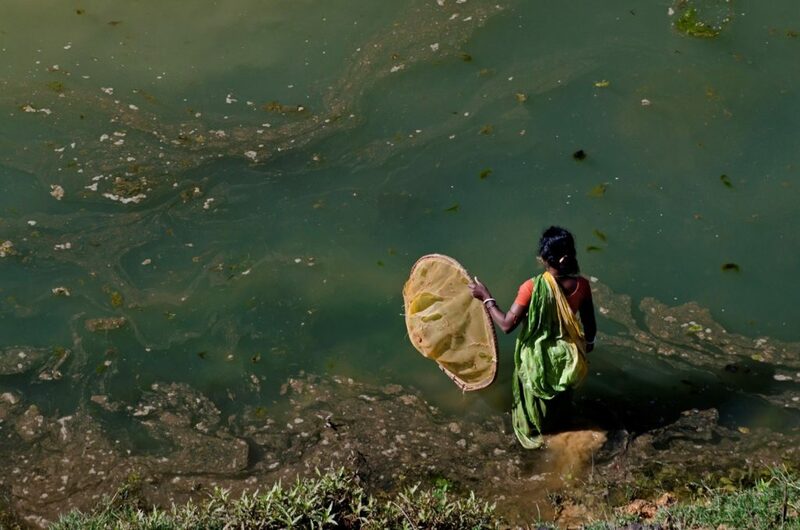 The winning photos very clearly show how poor wastewater governance affects our lives and ecosystems. They highlight the urgent need for integrity in wastewater management. WIN received 194 breathtaking entries in total! Many thanks to all people who submitted an entry. The selection process was very difficult. 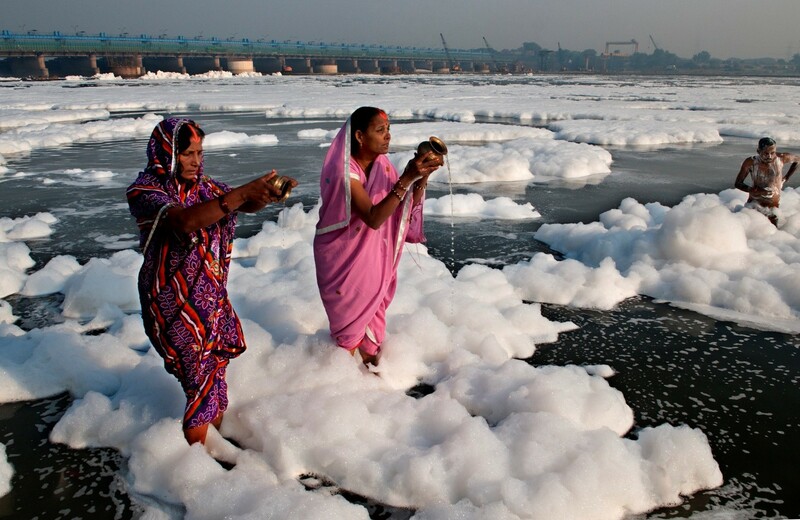 Hindu women perform their morning ritual in the highly polluted Yamuna River, which is full of froth on the outskirts of Delhi in India. The froth is caused by the daily discharge of millions of litres of toxic waste into the Yamuna river from Delhi through 25 drains. A 2016 study in the International Journal of Engineering Sciences and Research Technology concluded that even expensive water treatment plants are incapable of treating the polluted water, and that the water is unfit for any purpose. 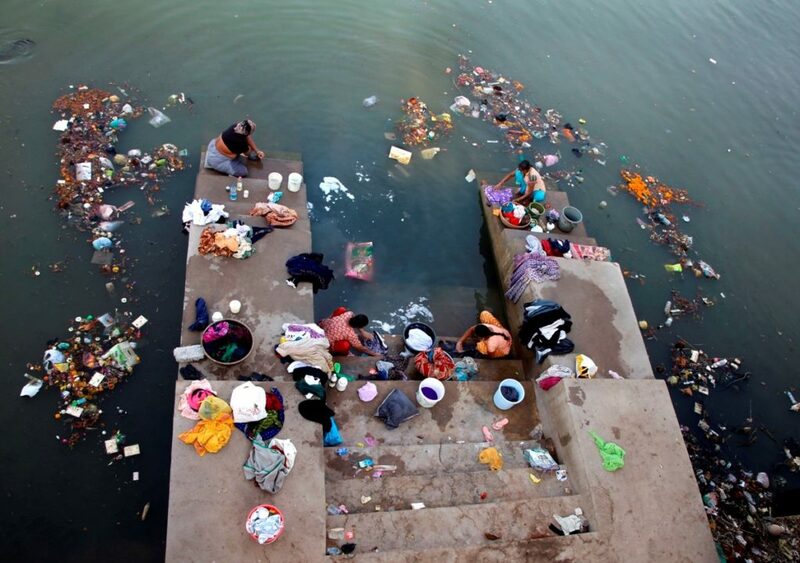 Close to ‘dead’, the Yamuna river in Delhi sees no signs of healing. 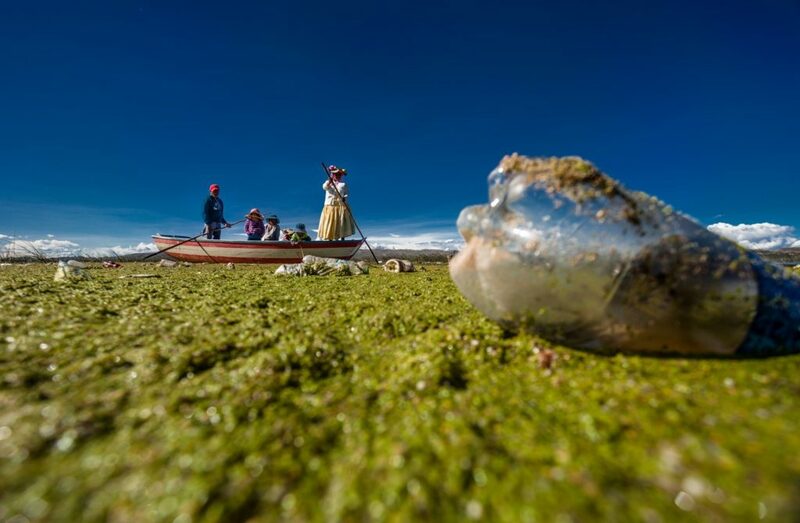 A family travels on Lake Titicaca through waste coming from the city of Puno. Poor management of wastewater means thousands of waste items float in the lake. Water pollution affects and kills all forms of wildlife. Trash and plastics that remain in the water for a long time are especially deadly. They can cause a blockage in the digestive system of fish who eat it, mistaking it for food. This photograph was taken at Garhbeta, Dist. West Midnapore, State – WB, India. This is the Hamir sir lake of Bhuj Gujarat where people discard waste, ladies wash cloth, and even buffaloes stay in this water and pollute it. Residents skinning fish at riverside in Jakarta, Indonesia, on February 11, 2016. 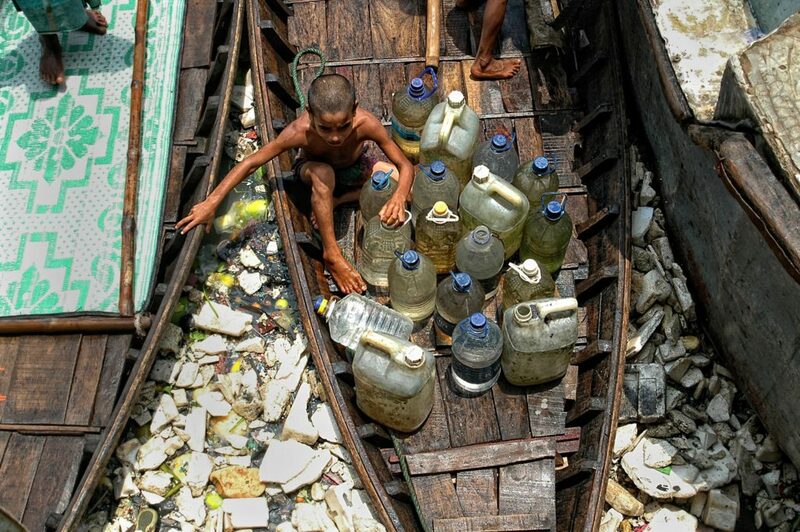 Domestic waste, at 80 percent, remains the top contributor to water pollution in Indonesia. Between water, air and land pollution, the most worrisome threat turns out to be water pollution. According to the Indonesian Environmental Status report published in June by the Ministry, 82 percent of the 52 rivers surveyed are polluted with domestic and industrial waste. The problem is exacerbated by overuse of water and bad spatial planning. 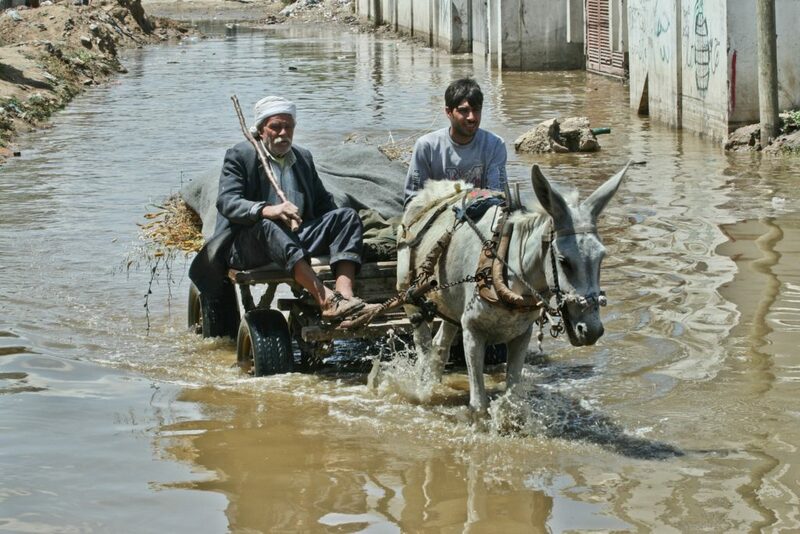 Locals ride a donkey cart in the Zaitoun neighborhood, eastern Gaza city. This district’s street is sunken in sewage water, which is flowing because of a power shortage. Power is needed to operate the pumps. Tannery worker washing away tannery waste in the Buriganga river in Dhaka, Bangladesh. Hazaribagh, Dhaka’s leather processing zone, is in the middle of one of the most densely populated residential neighborhoods. 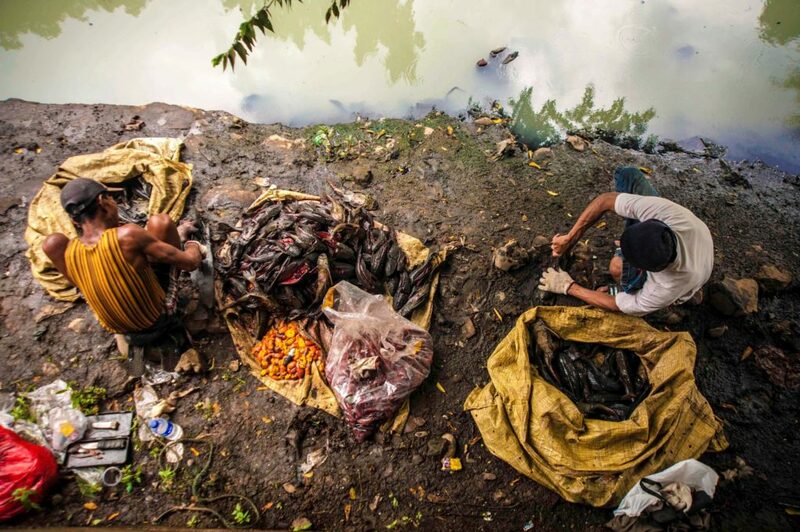 About 194 leather processing industries operate here and freely dump untreated toxic waste directly into the low-lying areas, rivers, and natural canals. The pollution is seriously affecting the lives of thousands of people, bringing the area to the brink of an environmental disaster. The river is dying. 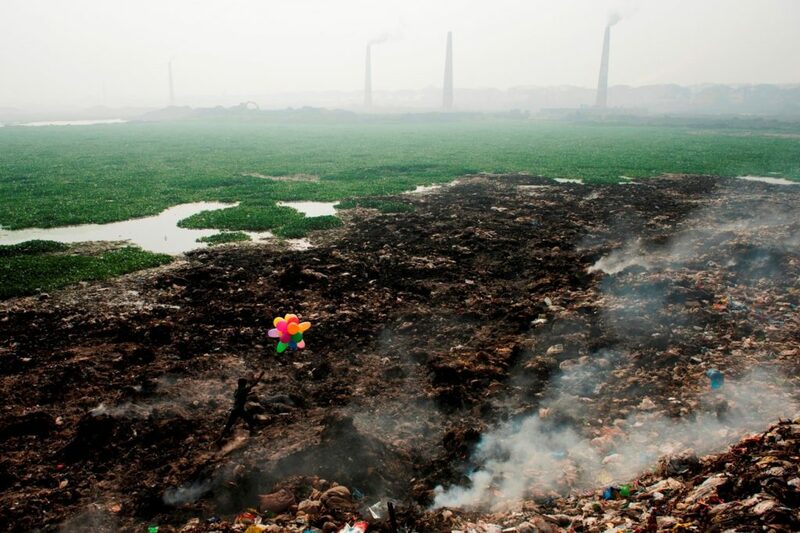 In the dump/garbage land a boy found some balloons and is playing. 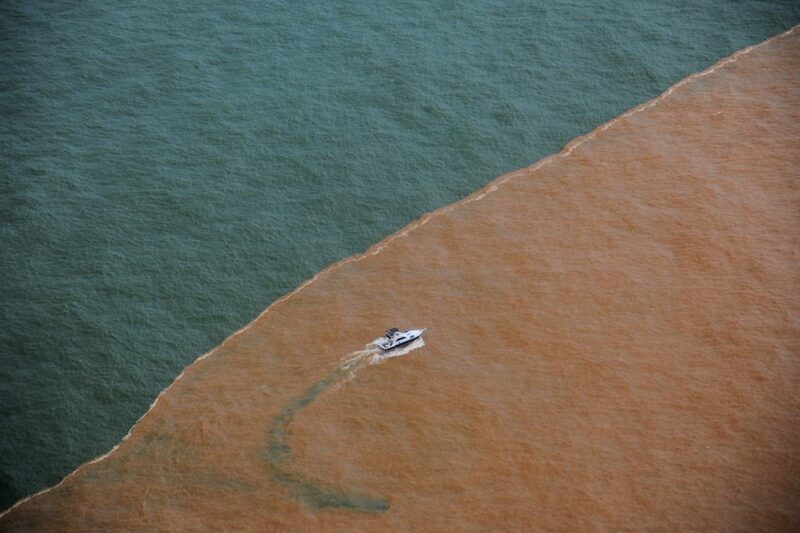 Toxic mud from the ruptured dam of Fundão of the Samarco mining company reaches the sea of Espírito Santo, after sweeping the entire length of the River Doce, killing fish and much of the vegetation of the riparian forest. The image, an allusion to the Brazilian flag, shows the mud mixing with the sea water at the beach of Regency, to which access was prohibited for 8 months. 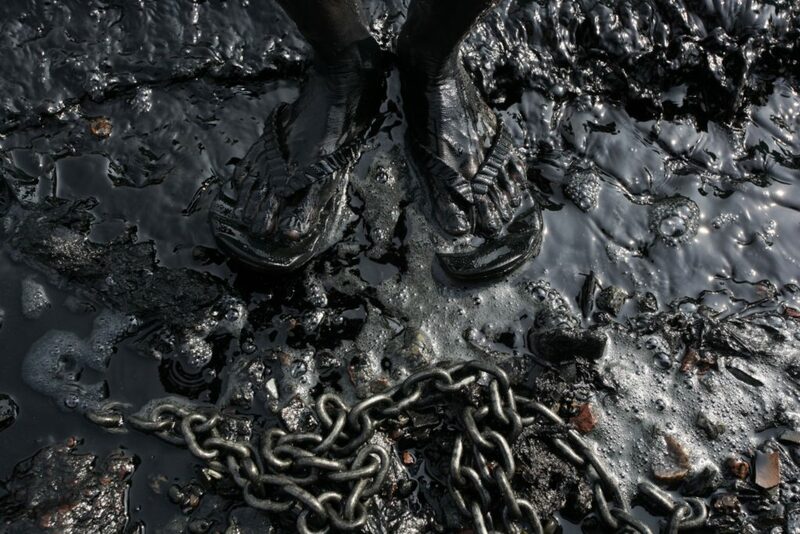 Due to sewage and industrial waste, water has become totally polluted in the river. As a result, drinking water is very scare in that area. A big thanks to our jury members for their contributions: Magdalena Mis, Frederick Mugira, Grit Martinez, Alex Macbeth and Miranda Mens. Better luck next time? Stay tuned for the 2017 Photo Competition opportunity, which we will announce later this year!